Enjoy the great outdoors with PeachFur's Fleece Picnic Blanket. Our picnic blankets are hand crafted with extra TLC using only the highest quality premium fabrics. We use 13oz single-sided non-piling 100% polyester fleece and waterproof nylon that keeps moisture and dirt out while providing a comfortable and luxuriously soft surface on top. 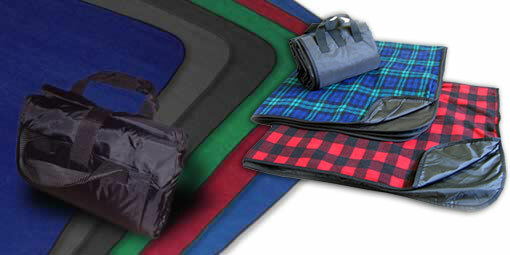 PeachFur Picnic Blankets are the perfect choice for your next outdoor event. Whether it�s a picnic, sporting event, sleepover, camping trip, emergency preparedness, or just lounging around the house, our double web carry straps make it the ideal companion wherever you go.